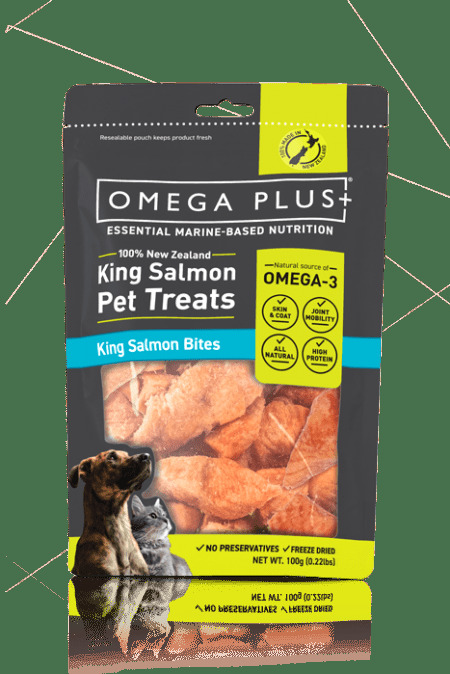 Omega Plus King Salmon Bites are a healthy and delicious way to treat your cat & dog. All natural and 100% King salmon, these bites are cut from skinless fillets and are freeze dried to provide a longer lasting product while maintaining all the health benefits of pure NZ King salmon. Suitable for all cats and dogs available in a 100g bag, treat your pet the natural way.